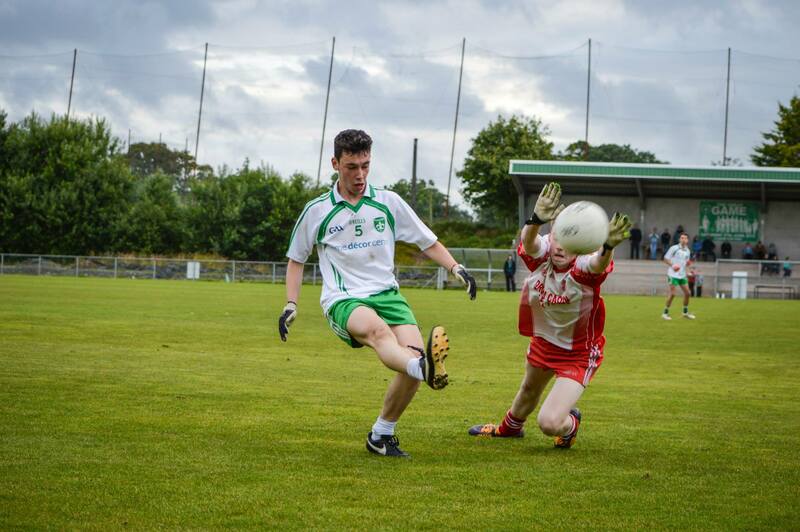 Drumragh Sarsfields GAC is based at Clanabogan Park, just 6 miles from Omagh. Our modern facilities which include a training pitch and sports hall have been years in the making and are a far cry from the days when the Club played at Bradley's Holm and St. Patrick's Park. We officially moved to Clanabogan Park in 2007 after several years of development work and we played our first game at our new home soon after. You'll find the short story of Clanabogan Park below as well as some extra material. plan which has come to fruition over the last 10 years. The state of the art Clubrooms and Pitches that some may take for granted have been the product of hard work so we're happy to open them to the local community. The next stage of our Development will fill in the remaining pieces of the jigsaw. Tarring has recently been completed and we’ve started work on a third viewing platform. Along with these, turnstiles will be positioned and allow Clanabogan Park to host more games. We’re also modernising our Facilities with WiFi® and new Gym Equipment. In the late nineties Drumragh, who were playing their home matches at St. Pat’s Park, set out to return the Club to their spiritual Home of Clanabogan. This was a huge task for what, at the time, was considered to be the smaller Club in the Parish of Drumragh. When the perfect location was found for our new facilities the hard work really began. Never before had our Club faced such a huge challenge as to raise enough money to fulfill the plans that would shape our future. 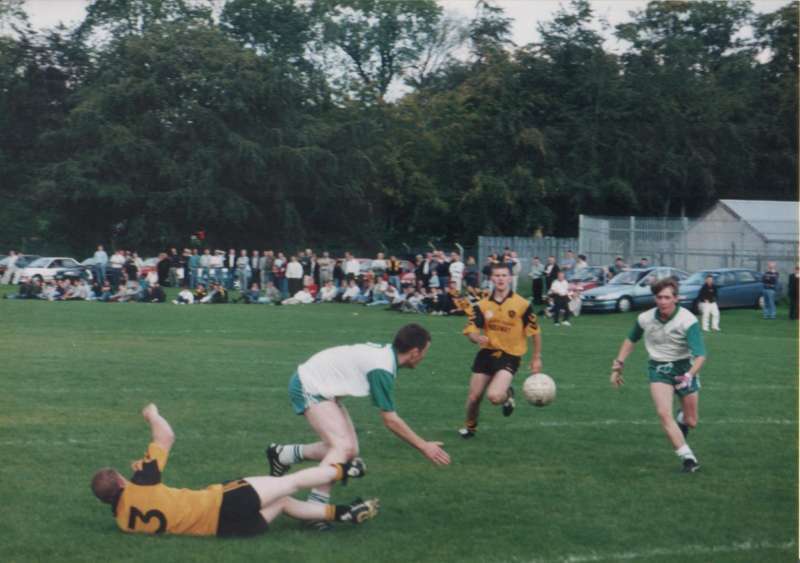 However, in true Drumragh spirit and with the support and strength of all our members we finished our first Pitch in 2006 and the first match followed shortly after. In 2007 work began on the stand and plans for the Clubrooms were at a late stage. Our new Clubrooms were designed to be at the heart of the community and therefore we had the input of local user groups and the Parish during the planning process. This allowed us to devise a proposal which would benefit the local community as well as suit the needs of a quickly expanding Football Club. In November 2008 ground was officially broken and the construction and creation of what had been many members dreams became a reality. Now, in 2016, we come near the end of this Chapter but we remain as devoted and steadfast as ever to deliver our members the best experience we can. With our Clubrooms open, two Pitches finished and Stand ready for an audience, some may say what next? The next phase of our Development will fill in the remaining pieces of the jigsaw. Tarring has recently been completed and we’ve started work on a third viewing platform. Along with these, turnstiles will be positioned and allow Drumragh Sarsfields to host more games. We’re also modernising our Facilities with WiFi® and new Gym Equipment. In 2006 we set out to find a name for our new hub and after 8 years that name was finally found. As the sign reads “Welcome to Clanabogan Park”. Drumragh Sarsfields has a rich history of promoting Irish Culture in the local community including Irish Dancing. We're delighted to offer McCarney School of Irish Dancing a Home where they can promote the ancient art and inspire the next generation of young children. Clanabogan Park offers a great space to practice, compete, rest and have some fun. Clanabogan Park is Home to Omagh Comhaltas Ceoltóirí Éireann which runs classes in Tin Whistle, Banjo, Harp, Uilleann Pipes and many other traditional instruments. Comhaltas Ceoltóirí Éireann is dedicated to the promotion of the music, song, dance and the language of Ireland. Drumragh Sarsfields has hosted many traditional music sessions that celebrate the talent and skill displayed by all the musicians and dancers. The Clanabogan Drama Circle is dedicated to bringing the joy and power of Drama to the local community by providing high quality dramatic programming. Clanabogan Park offers the Drama Circle a modern Home for the development of the next generation of amateur actors and actresses. The Drama Circle have a dedicated storage facility and are able to construct their stages in our Sports Hall for rehearsals.